Forest Fruits e liquid is one of The Vape Shop signature flavours and is a top seller online and offline in our walk-in-shops. A mixture of all the red forest berries this flavour is bright, energetic and bursting with ripe forest berry flavour. Its a clean vape with a very subtle sweetness that accentuates the berry flavour. forest fruits e juice produces loads of vapour with a decent throat hit and will be among your favourite fruit flavoured eliquid’s. What Is Forest Fruits E Juice Like To Vape? This ejuice by The Vape Shop delivers a bursting flavourful experience on each inhale of sweet forest berries. It's light, sweet and very berry fruity. The red forest berry flavour fill the mouth and invigorate and cleanse the palate as the vapour passes over your tongue. On exhale you can taste the full flavour while producing a fruity aroma with the exhaled vapour. The Vape Shop produce all its liquid’s making sure they DO NOT contain:- Diacetyl, Acetoin, or Acetyl Propionyl, refined sugars, protein, genetically modified ingredients, animal ingredients of any kind, preservatives, sweeteners, or colours. Is Vaping Forest Fruits eJuice Vegan & Vegetarian Safe? The answer to this question is YES. 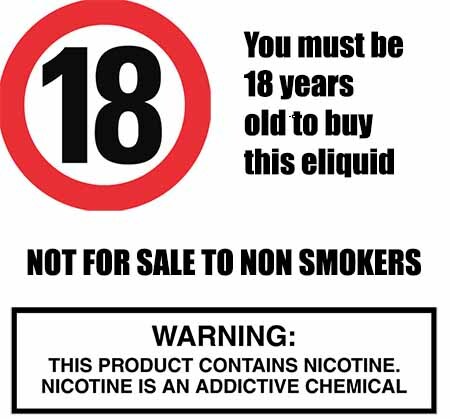 All our UK produced fruity e liquids are gluten free and suitable for vegetarians, and vegans. You can rest assured when purchasing this e liquid flavor that it contains only the purest ingredients.